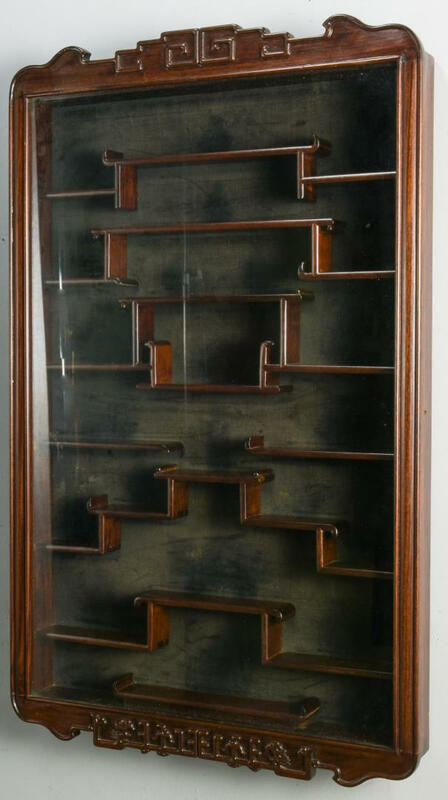 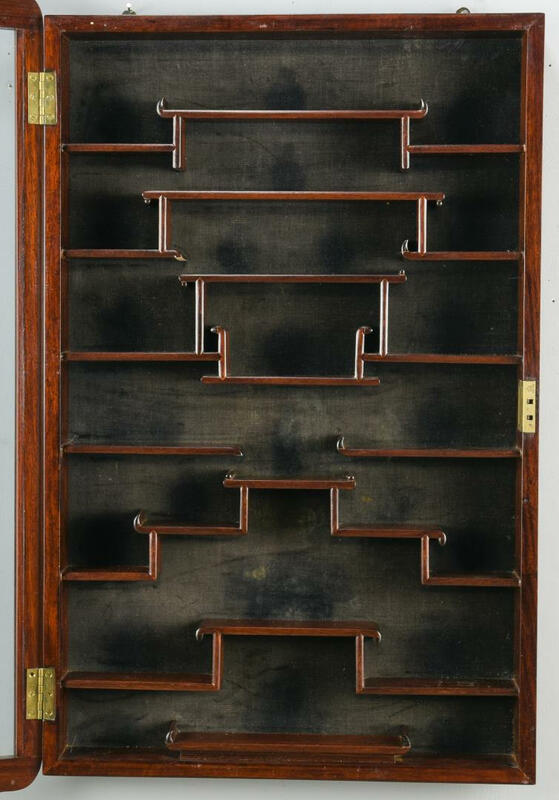 Chinese rosewood hanging snuff bottle display case with carved design to top and base and stepped interior shelves. 32 3/4" H x 20" W. Late 19th/Early 20th century. 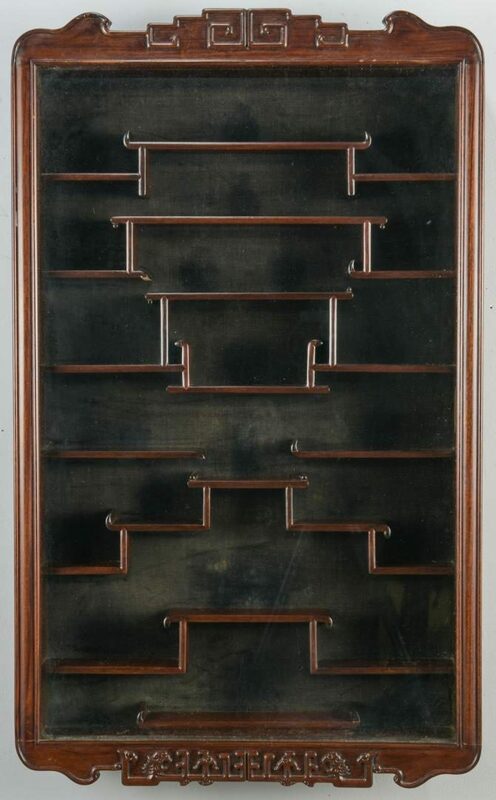 CONDITION: Some breaks to shelves on lower level.